This page is just some of the UK Taxidermy awards I have received over the years, I have not competed in any european or USA shows, these have a lot more entrants and much better quality work. 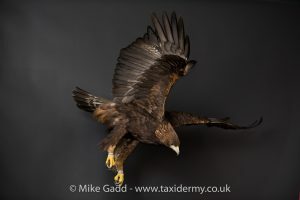 This Golden Eagle in a full flying pose managed to win the bird competition 2015 it also managed to win the win the best in show award. #J1. 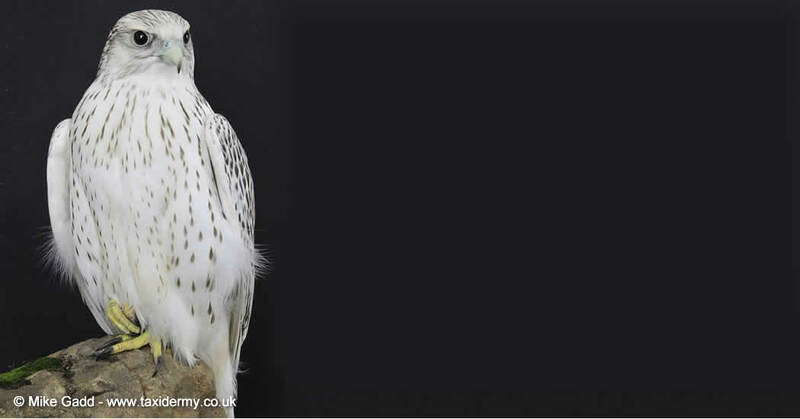 This Gyrfalcon won the UK Breakthrough Judges choice it lost the UK Bird taxidermy Competition coming 3rd. #8. 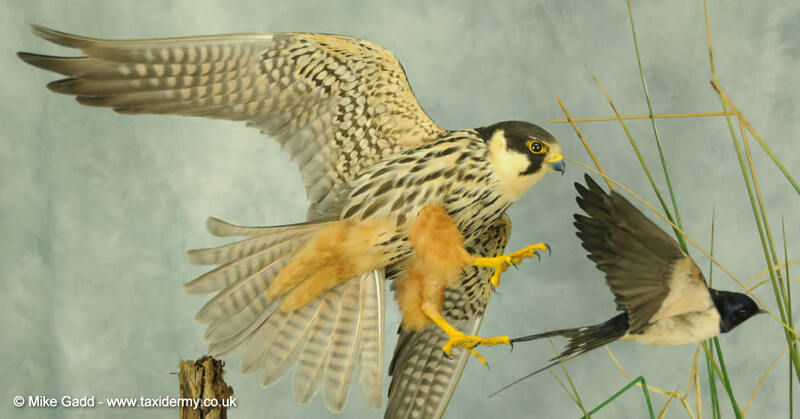 This Hobby Falcon won the UK Bird Competition it also won best in show, Best Cased Item, Best Ground work and was awarded a Master credit. #7. Taxidermy Bald Eagle - Haliaeetus leucocephalus Sitting on branch. winner of the UK Bird Competition. #6. Taxidermy Grey Phase Gyrfalcon - flying mount. winner of the UK Bird Competition. #5. 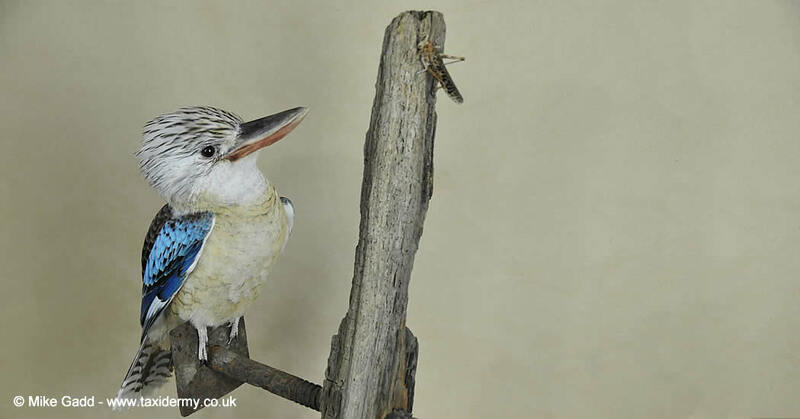 Taxidermy kookaburra - Sitting on branch. winner of the UK Bird Competition. #4. 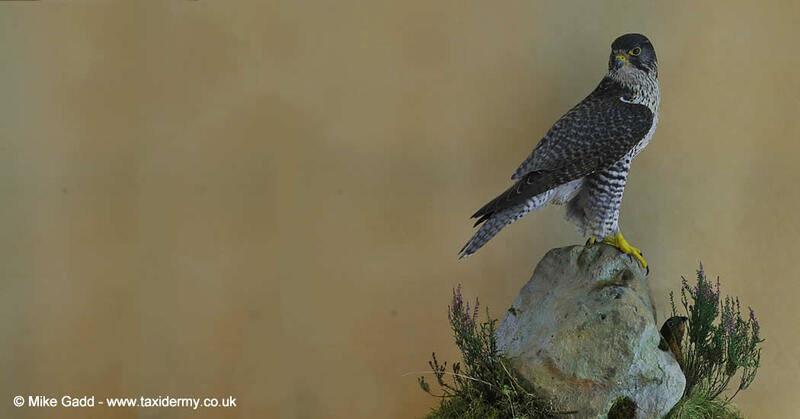 Taxidermy Gyrfalcon - Sitting on rock. winner of the UK Bird Competition. Immature Bird on reproduction Sand stone rock. #3. Taxidermy Gyr Sitting on Rock with hidden grouse. winner of the UK Bird Competition. #2. Taxidermy Golden Eagle - on Rock. winner of the UK Bird Competition. #1. My first UK Bird Taxidermy win - Peregrine Falcon chasing a Red Grouse. winner of the UK Bird Competition. 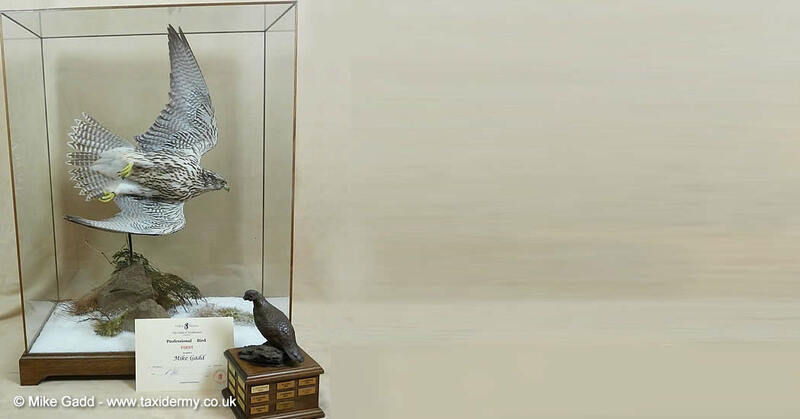 1992 was my first competition win, I remember that day well and more importantly all the work trying to make a nice piece of bird taxidermy, a lot of hard work went in to get to a level that stood a chance of getting any award, winning the UK Bird Competition Winner with my Peregrine Falcon was great milestone for me. I now look back on the photo of the project and know it was not a great or even good piece but luckily must have been the better item of bird taxidermy at the meeting. In reality all my wins are just fair birds, and I am still hoping to get the a stage I can produce a good piece of bird taxidermy. "a great head start of sound techniques and theories"
Something not available when I started. I expect to see my students produce stunning work and embarrass mine. 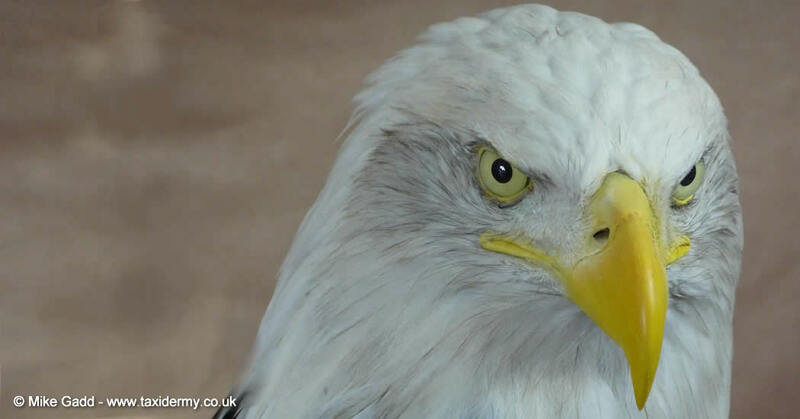 Go for it and take the lead in taxidermy in the UK and hopefully around the world.